Cameron in meetings and determined to have a referendum. Boots ( American owned ) cutting back within the uk. HSBC hundreds of jobs going, branch closures and headquarters looking at moving to Germany. Dusseldorf and Hamburg have been quoted. I think those who are saying we should be OUT, are those who don't really understand what the EU means to us. I remember voting in the 1972 referendum and the vote was to stay in. We are now a generation further and the younger voters won't remember a time when we were not in the EU so I wonder how they view it. If Cameron is determined to go for a referendum (and he has to if he's to fulfil his election promise) there will have to be a lot of educational programmes etc regarding our EU membership before people can make an informed decision of how to vote. A lot of people have blinkered views about immigration and are not prepared to listen to any of the facts, so they'll blame the EU and will vote to come out. My personal view on immigration is they wouldn't come here if there were no jobs and there wouldn't be as many jobs if some lazy assed Brits on the dole took the jobs. The problem is they're better off on benefits than working for minimum wage, so it doesn't pay them to work. I don't agree that anyone should be better off not working. The government needs to get tough on benefits for Brits, as well as for immigrants. If those on benefits worked, paid tax and NI, the country would be earning from them instead of paying to keep them. Then there would be fewer jobs for immigrants so fewer would come and fewer would need housing, policing, medicating etc. It's a win-win solution! It's not because we're in the EU that people come here to work, they could go to any country in the EU. It's because we have jobs and benefits! Interesting discussion this, some very strong views being held on both sides of the in/out argument. As I remember it back in the seventies referendum we voted on a common market and I was one who voted yes. What I did not vote for was a United States of Europe and that is what is being imposed upon us in a very subtle way. I see us sleep walking into a total disaster. There is no way it's ever going to work. Similar unions have been tried before and have always ended in bloodshed. How long did it take for the United States of America to go for each others throats? Far short of a century. The Union of Soviet Socialist Republics likewise, far shorter actually and then only because of Stalin's tyranny. Exactly the same thing with the Balkan states that were cobbled together to form Yugoslavia. As with the USSR it was a dictator who held those states together and with his demise the union collapsed in torrents of bloodshed. We see it in Africa and the Middle East, states that were set up and had borders set by well meaning but stupid European politicians without any regard for the different cultures and religions within those borders. We are seeing the results to this day with the genocides civil wars and mass migrations. The big factor in all of this that is being overlooked is human nature. There will always be the dissident, the power seeker, the budding despot that will shatter whatever idealistic dreams that the innocent peasant holds dear. History tells us that and history should not be ignored. As the European Union stands now it is just a bottomless pot into which we pour money. We don't contribute millions to the EU, it's billions. And for what? Have the books ever been balanced over the years we have been members? Of course not. How would the people of Britain like it if our parliament moved, lock, stock and barrel from London to Edinburg and back again every month like our European Parliament moves from Brussels to Strasburg? We would be much better off if our EU contribution was held back and thrown on the fire. At least we would save transport costs. Of what use is the European parliament? Where is the democracy in the EU? The Lisbon Treaty is a prime example of EU democracy. It had to have the consent of all states in the Union but the Irish voted NO. That didn't suit the EU Commissioners, oh no, they were having none of that. The Irish Constitution states that seven years must elapse before a second referendum on the same subject. No problem for the 'democratic' EU. A little manipulation of the wording and another referendum was up and running before the Irish knew what hit them. They simply gave up in despair. ELMER FUDD wrote: Interesting discussion this, some very strong views being held on both sides of the in/out argument. As I remember it back in the seventies referendum we voted on a common market and I was one who voted yes. What I did not vote for was a United States of Europe and that is what is being imposed upon us in a very subtle way. I see us sleep walking into a total disaster. There is no way it's ever going to work. Similar unions have been tried before and have always ended in bloodshed. At last !!!! Someone with exactly the same thoughts as my own. Elmer, I couldn't have put it better myself. Have you been reading my script ?? You have said exactly what I have been trying to get people to understand about how the EEC has changed sinced we signed up. I believe we should remain a member, but as a country we have got to have control of our own borders and benefits system. We will survive as a stand alone nation, no matter what some people think. Cameron should tell the EEC that we will only pay the same amount of benefits to immigrants that their own country pays, and not a penny more. Where does the European parliament think all the African immigrants are going to live? Thousands are landing in Italy and Greece on a daily basis, and we are being told that they will be allocated places in all the member countries. Already, they are gathering in their thousands at Calais, trying to get to the UK. If the French authorities had checked everyone at their borders, they wouldn't have been allowed to enter France , so the problem at Calais wouldn't have occured. Its all well and good saying that their is freedom to move between member countries, but it has now allowed illegal immigrants to travel un checked throughout the EEC Countries, and that it wrong. The UK hasn't got any spare houses for them, as we need to build at least 200,000 houses just to accomodate the people who already live here. How are we supposed to finance the benefits for them all? You certainly can't ask the British tax payer to pay more taxes to finance it. Who is going to pay to build the new schools, hospitals, houses, etc, and pay the wages of the doctors, nurses, dentists, to run them? Allowing all these immigrants into Europe is a massive mistake, as it will open the floodgates for millions more people to come here and ruin European countries, just as they have their own! All they have to do is load as many people into boats as they can, then set them adrift in the mediterranean sea and the Italian coastguards will pick them up and take them to Italy, and eventually allow them to be distributed to other member countries. Its too late Wizard, the country is already ruined That started many years ago and its going to take a hell of a long time to try and reclaim it. There are too many different nationalities there already. Looking at the figures for London, did you not know that native English people are in a minority as it is in many other cities. Its time people accepted that the world these days is multinational and forgot about the old British "stiff upper lip " values and the way things were. It dosn't work that way anymore. This will not be such a problem for our generation as we have had our time, its the younger generation and their children who are the ones going to be affected for the rest of their lives and they are not even being allowed to have a say in it. Where is the fairness / democracy in that. Yes i agree with a lot of what has been said so far, benefits need to be sorted, people need to be made to take the available work etc etc. Housing needs to be built and someone really ought to concrete over the " plug hole " to stop the country from going that way . But on the serious side it is going to take a long time and a lot of money that the country has not got to complete it. If it does pull out of Europe where will the money be coming from ? 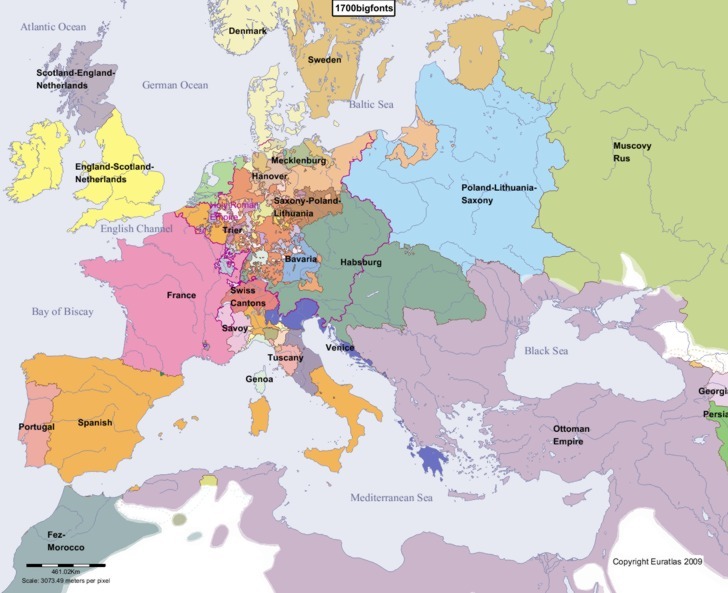 Since then European borders have changed many times. In Western Europe since 1945 there has been stability, however since the collapse of the Berlin Wall and Communism the borders of countries in Eastern Europe have become more redefined. Not only have these countries entered the EU but they have also altered sides from the WarsawPact to Nato. Austria is bound by a treaty in 1945 to remain neutral from Nato and the Warsaw Pact but can be in the EU. These are poor countries in need of modernising and of investment and alot of British workers in the construction industry are working in these countries for companies who through the EU have gained lucrative contacts in former Eastern European Countries. Many more UK companies are now doing business with these countries. In 1997 Tony Blair signed the social chapter of the Maastricht treaty which the Tories under John Major had refused to sign, this meant the minimum wage became law in the UK, prior to this employers could pay as little as they wanted. People have forgotten this and would much rather claim benefits than work for the minimum wage. So employers are finding that Europeans are prepared to fill this gap. The new benefit system that is being introduced will weed out those who are simply trying to live off benefits and not get a job as they will have to prove they have been looking for work and will be sanctioned if not. Migrants will face constraints on benefits, they will not be able to come over and just sign on the dole and if they are unable to get a job they will have to return to their own country. White DEE the famous benefits scrounger off the TV programme Benefits Street has herself admitted it was a cosy and easy life on benefits, she has since signed off from receiving benefits and believes that system should be reviewed . All Major cities in the world now have large migrant populations not just London, for example, Sydney, Marseilles Paris, Darwin, NewYork, Brussels, Melbourne, Rome all have large migrant populations. If people come over her work pay their taxes and national insurance, then they have has much right to the facilities such as hospitals, schools, Doctors etc as those born and working in the UK. Britain of the 1970s has gone, gone for ever, the world over the last 40 years has turned upside down and we need to embrace it with a positive attitude and see the exciting new changes it is bringing us. In light of the atrocities in Tunisia, the UK is absolutely right to check EVERY person who comes to our borders. Cameron has got to tell the Eurocrats that we are not going to accept any of the thousands of North Africans who are trying to get to Europe "for a better life". How on earth can they be checked to see if they are members of IS or some other terrorist faction when they arrive in Italy or Greece or wherever they want. When tourist go to a holiday destination, they do not expect to be shot and, in some cases, murdered. The powers that be have got to see sense and instead of giving the boat people a safe passage into Europe, they should be towed back to the country they left from. France should be heavily fined by the EEC for allowing 3000 illegal immigrants to fester in Calais, waiting to break into lorries coming to the UK. Why should the UK be responsible for the border in France? These terrorists have spread like a disease throughout Europe with their open borders. Thank God Britain had the sense to keep our border checks. It really is time for the EEC to wake up to the massive problem that is going to happen in Europe if they don't come down hard on these people. Thats a bit of a jack attitude there, its people with that attitude that is going to send whats left of the country down the plughole. Time to grow up, the world is a big place and believe it or not it dosn't revolve around the little island of the coast of mainland Europe. If the governments in power over the last 20 odd years had not gone soft and welcomed everyone and gave them everything they asked for, they wouldn't be in the predicament they are now. The rest of Europe havn't taken that attitude and are not having the problems the Uk is because of that reason. They don;t house and give lots of money to imigrants from outside the EU unless they have worked and paid into the system. Only the Uk is stupid enough to do that so its the Uk at fault for encouraging it. The UK have given UK residents a decent living via the benefts system. So what you are saying is that it was wrong to give these benefits to British people is it? Unfortunately, we now have to finance people from other countries, because thy decide to live here. It can't be right. Stop knocking the UK Al, as I can more or less guarantee you will return here within 5-10 years, just like the rest of the people who moved abroad for "a better life". They always come home when they draw their state pension. Why do you think I have a "jack attitude"? As someone who pays their taxes and spends their money in the UK, I have a valid right to express my opinion about what happens in my own country. It is people who don't live here who seem to be shouting about it being wrong. I have not heard of anyone with any sense say that we should accept more people into the UK. We cannot afford to take anymore people here. There isn't enough houses, hospitals, schools or money to cater for them. Surely even you can see that !! Would you see it different if a couple of IS terrorists from North Africa pulled onto your caravan site and started shooting people around you? Or is that accepted in your little world? Because in my world, if they were stopped at the border for trying to enter the country illegally, this would have been avoided. I have more faith in my own country than you have, and Britain will not fade into nothingness, as you believe. We need to get the EEC member states to stop the immigrants from coming into their own countries illegally, then they can't get here. Why are the French police allowing these illegal immigrants to slash the curtain sides of lorries to get away with it? If it happened in the UK they would be arrested for criminal damage. The French police just put them on the other side of a barrier so they can return again later in the day. The EEC is bending over backwards to keep Greece as a member state, and they are totally bankrupt. If Cameron can't get some concessions from them for the benfit of Britain, then the referendum will be a very close run thing. I know the UK exports millions of pounds worth of good to to Europe, but it also IMPORTS millions of pounds worth too. European countries can't afford to lose this business any more that the British firms can. If the EEC wants to keep the member countries safe, it has got to wake up to the immigration problem that is taking place on their own door step, and tighten its borders. If they are not prepared to do that, then I think its time we did decide to pull out of Europe. That last line of your post is the most truth i have seen for a long time, there are many who would love the Uk to be an American state and if the country pulls out of Europe it is a reality that could happen. News update my friend, I pay tax on both my pensions in the Uk, still have property and other things back home. That said i will not be coming back to England, and we are no longer living in the caravan we are resident here in Spain and if we do leave here the Uk will be the last place we go. Heidi is German and we have all the rights as German nationals as well. I have never hidden the fact that i am a a European and love the way of life away from the Uk. I worked for over 50 years and paid all my dues and will enjoy my pension ( when i get it ) and spend the money where i am at the time. I diddn't say it is wrong to give the benefits to British people, i said imigrants. but i still believe its the governments fault. They should never have started it all those years ago. and yes i know there is not enough hospitals, houses etc etc, but how can you blame the EU for that. You will never stop illegals getting into the country unless you fence the whole of the coast round the Uk and have it patrolled and shoot them as they land on the beaches, is that the sort of world you want to live in ? Its too big a problem and nobody seems to have an answer. Cameron is not going to get what he wants, i dont care what he says to the population in the UK, i know also what is being reported and said on this side of the fence. His answer this week was a simple " the basic rules of the EU are set and not up for negotiation " were the words out of the horses mouth. But thats politics and he can twist his words any way he wants to. As for the terrorists in my little world as you put it, i have fought them in Africa, China, The middle east as well as in Europe so can we leave that one as it is.